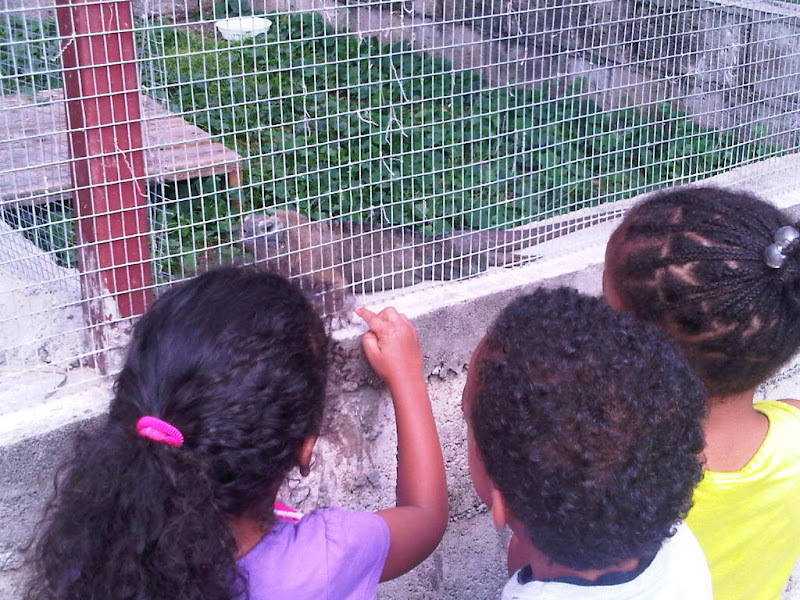 It was a magnificent moment to learn from a proud zookeeper that Iguanas are being reintroduced into the wild through the Head Start programme, that was set up to rescue the Jamaican Iguana from extinction. 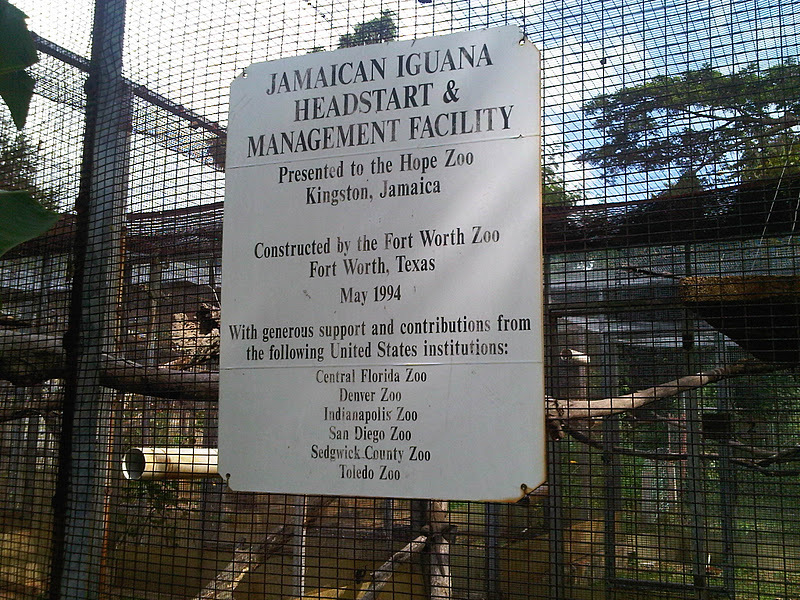 Started in 1994, with input from the Hope Zoo, the programme has received a recent boost with measures in place to reduce mongoose populations in selected areas, so that the Jamaican Iguanas has a greater chance of surviving on their own. 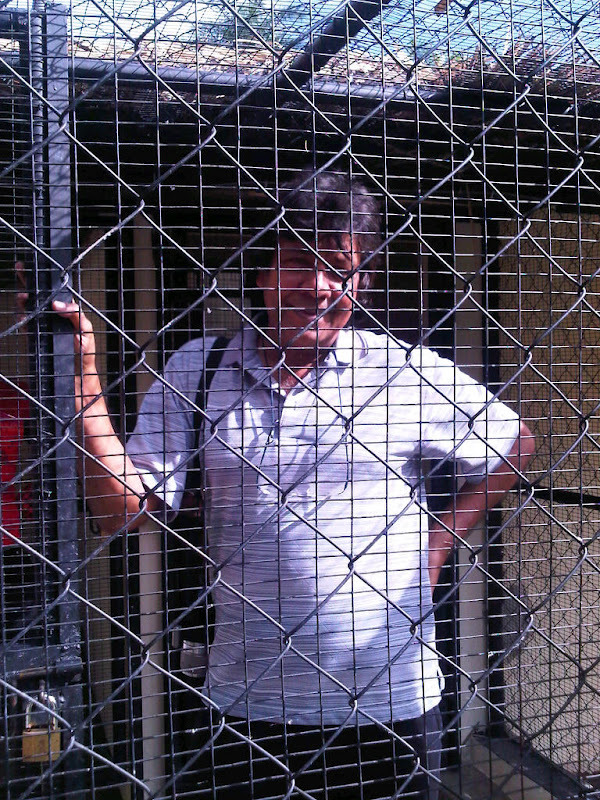 Many of the cages that have housed them are now empty or greatly depleted. This was really great news to me, and topped an outstanding visit to the zoo. The petting area is now open, and and Uncle Stone, a great communicator, did a sensitization that included touching animal bones and skins and also a live bird, mammal and reptiles. This was a great experience for adults and children alike, and an additional $200 per person to the entry fee. Another add-on encounter is at the budgie apiary where you can offer food to hundreds of budgies. They perch on your arm and nibble grain from your hands. This is an additional $100 per person. Speaking of birds, plumage of the Scarlet Ibises is changing changing from pink to magnificient scarlet. The monkeys are also a delight. Sookie, the spider monkey, now has the full run of her enclosure and she is a gregarious and swings from arm to arm, or from her tail - a true performer, and it will be great when more of her species join the zoo exhibits. I am not sure how it started, but Mr Alex, the Capuchin, now happily mimics one of the Zookeepers for fun. Some of the wise donkeys are also curious and will seek engagement with you. In the same enclosure, the female ostrich will seek the interest of tall human men. The Emu is far more shy and stays away. Construction work is ongoing, as more covered areas are being built strategically about the property. I also paid a moment of silence after seeing the sliced trunk of an ancient mango tree that was felled in the name of development. 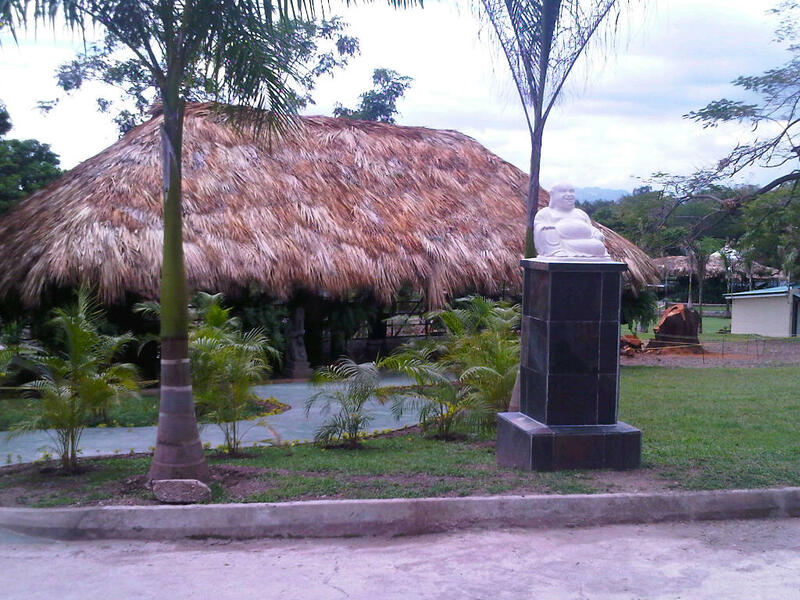 One of the covered areas has a statue of a smiling holy monk at the entrance; a sign perhaps that sculpture from Asia is included in the landscape plan; be prepared for a discussion about the woman at the entrance. 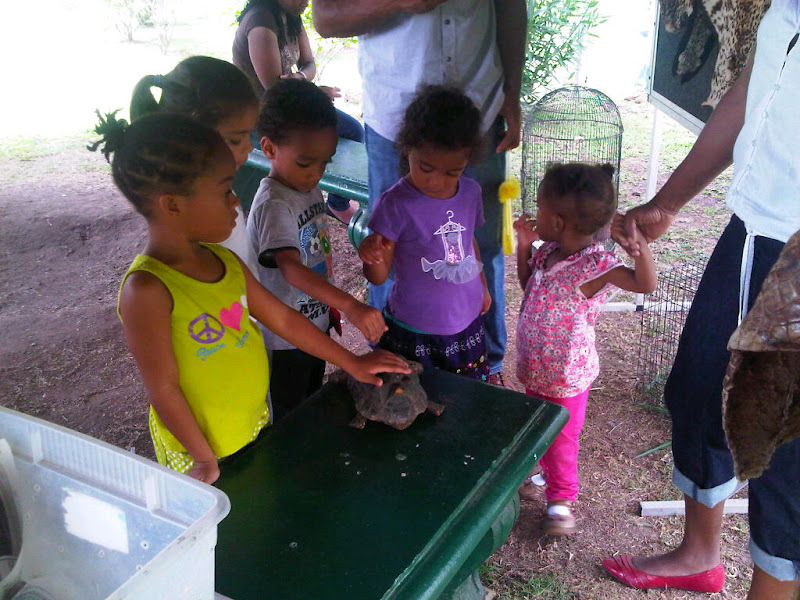 For more articles on Hope Zoo, see the links at the end of this article. 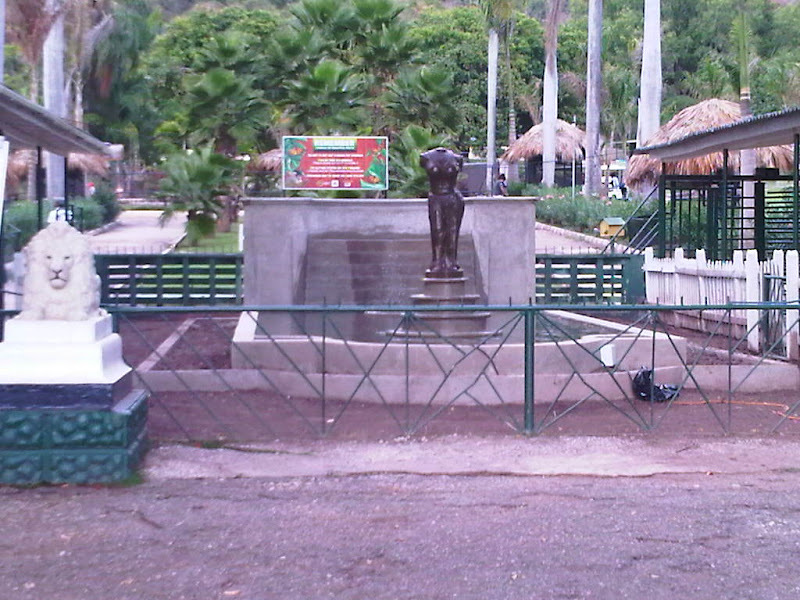 Labels: hope zoo gardens kingston jamaica, What is at the Hope Zoo now?